Simply beautiful, this delicate bracelet with adjustable sliding clasp is perfect for any occasion. Crafted from sterling silver the circle disc pendant is highly polished to shine. 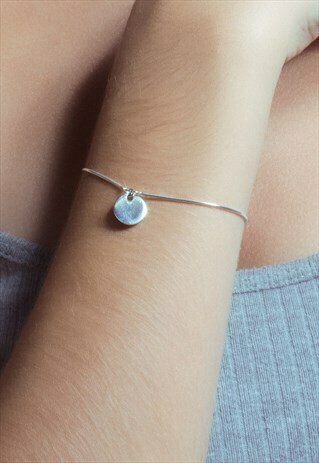 The bracelet measures 27cm long and the disc is 10mm wide.